As someone who spent eight years on the Competition Commission, the changing shape of competition in the digital world is a question of compelling interest to me. Mainly, I blocked mergers, but the exceptions were retail inquiries where the growing competition from online retailers (especially Amazon) was, to me, a clear constraint on merging high street chains (some of my colleagues were less convinced – this was 2001-2009). Looking more recently at the literature on digital platforms, it is clear that economists have to step up and deliver new, practical analytical tools for competition authorities. As Jean Tirole and his co-authors famously established, the old tools of market definition and SSNIP tests are inadequate for assessing competitive conditions. And when the dynamics of competing for versus in the market, and the evolution of ecosystems, are so important now, the longstanding failure of competition economics to deliver a systematic way of thinking about static versus dynamic impacts of mergers really matters. 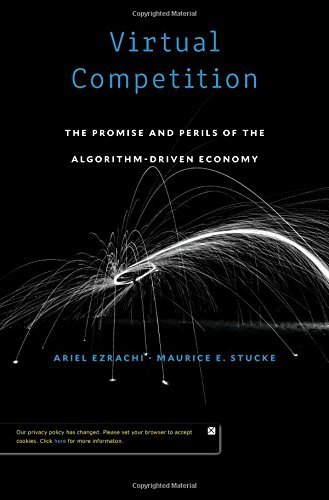 This is a long-winded preamble to mentioning Virtual Competition: the promise and perils of the algorithm-driven economy by Ariel Ezrachi and Maurice Stucke. The authors clearly are concerned about the failure of competition policy tools in the new context, and although it tries to be even-handed the book paints a picture of a world of increasing market power, to the detriment of consumers and citizens. At the start of the internet era, there was great optimism that this was a technology for empowering consumers with more nearly perfect information, allowing easy price and product comparisons. In fact, it may be returning us to the era of the bazaar, with reducing transparency of information about prevailing market prices and conditions. “In a market that is in reality controlled by bots and algorithms, what power does the invisible hand posess?” Instead, maybe we have a digitalized hand, determining the specific market price in any given context. As others have done (Francis Spufford in Red Plenty – not cited – and Eden Medina in Cybernetic Revolutionaries – which is cited here), the book notes that in the limit a profit-maximizing market with perfect information and a social-welfare maximising central planner similarly well-informed would reach the same prices and allocations (although contrasting distributions). The book does a good job of describing the changing dynamics of competition in digital markets, and why there is every reason to be concerned. Written by two lawyers, it is frustrating that it hardly mentions the economic research literature, which is proliferating even if not yet reaching policy-ready conclusions. The authors also over-do some of their critique of digital businesses – for example, they include a section on the use of framing and choice architecture to manipulate consumer choice, but that dates back to the pre-digital days of Mad Men. Still I share their view that we are in an age similar to those of the giant industrial trusts, and some digi-trust-busting is going to be needed. I’ve been pondering my recent conversation with Branko Milanovic about ‘commodification’ and whether or not it’s a good thing. As he says in his reply on the subject, it is happening as a matter of definition. He puts this in terms of the formalization of economic activity as economies grow richer. I’d express it as the increasing share of services in economies as they grow richer. Goods have been largely commoditized (as it were) in the west for aeons and nobody really thinks there’s any social problem with buying your shoes and fridges in the market. As the growth process continues, the division of labour and specialization extend into areas of services. On the whole, I disagree with Branko that there is a tradeoff, that while people clearly value these market exchanges, they weakens social ties: “[W]hile in many cases, greater commodification has made our lives better and responds to a definite choice of people, it has also in many cases weakened personal ties and in some cases made us more callous because our knowledge that any pesky little problem can be solved by throwing money at it made us less concerned about our neighbors and family.” He links this to the emerging ‘gig’ economy. For many or perhaps most services, I don’t see this. If I specialize in economic consultancy, my neighbour in translation, a friend in gardening, another in teaching in a gym, what’s the social problem that arises from these being market exchanges? Indeed, the argument that these sorts of monetary transactions undermines relationships seems demonstrably false: services of this kind require a high level of trust for transactions to occur because there is a huge asymmetry of information between the seller and the buyer. If Paola translates a paper into Italian for me, I have no idea how good it is. This asymmetry is why professional services are regulated and in some countries provided by the public sector, presumed to have an ethos of public service. The social problems come with a particular category, the personal, labour intensive services often badly paid. This could be because they are paid for by squeezed public funds (hospital cleaners), or because they are jobs that might not exist if the pay had to be higher (supermarket checkouts – now getting automated – or domestic cleaners – some working women would do without if their pay doubled). 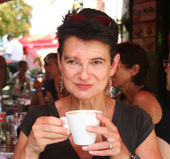 One could argue that some of these activities should as a matter of ethics never be marketed, but this was my original challenge to Branko, as child care and cleaning are still typically mainly done by women. Barbara Ehernreich in her terrific book Nickel and Dimed argued that anyway nobody should be asked to clean somebody else’s toilet, as a matter of (self-)respect. I’m more interested in interventions in the market to ensure good pay and conditions, rather than – what? banning these transactions? As for the ‘gig’ economy, this seems to me a question of how good or bad the workers’ outside options are (as well as the corporate behaviour). Nobody is forced to drive for Uber or ride for Deliveroo, so their other options are probably worse. This is an argument for a reasonable minimum wage properly enforced, and a legal framework that is updated to protect the rights of all individuals doing paid work – I’ve been arguing for this since The Weightless World in 1997. I’d go further and say there are areas where we need more market exchange. Like many economists, I’d like to see more market instruments used to serve the interests of environmental protection and the safeguarding of natural capital. I admire Al Roth’s work on bringing a market-type (but non-monetary) exchange process to kidney donations, literally life saving work. PS Apologies about the ongoing tech problems with the blog. I keep thinking it’s fixed. The fix is short term but hopefully it will be sorted long term within a week or two. This is a problem of success, with more traffic and an accumulation of posts, so I hope regular readers will be patient with the tech issues. Harvey Cox’s The Market As God, published in a couple of weeks, drove me nuts. I alternated between scribbling ‘X’s and ‘? !’s in the margin, and skipping over long chunks about Christian theology, in which I have zero interest. The book is built out from the notion of orthodoxy and heterodoxy in economics. Of course, ‘orthodox’ economists would use an adjective like ‘mainstream’ to describe themselves, which I guess (self-described) heterodox economists would say is the point. These debates always seem to me more relevant (or rather less irrelevant) to macro than to the empirical applied micro-economics so many of us do; I never know which label to wear myself. Many people will agree with this. I’d guess the ever-thoughtful Branko Milanovic would – he and I had a brief debate here, here and here on ‘commodification’ (ie the status of the market) recently. There are some truly interesting ethical questions in this territory. Not in this book, however. One of my problems with Cox’s account is the assumption that there is substantial overlap between people who worship The Market and economists, because isn’t that what economics is all about? Given that I teach a whole course exploring the subtleties of the relationship between state and market in public policy, this is personally irritating. It’s also factually incorrect: many economists work on how government/collective intervention can fruitfully bring about higher economic welfare, including by influencing markets. Sure, economists are perhaps more likely than Ms Average to believe markets operate in beneficial ways (or than Mr Average when he is a businessman running a large, dominant company), but that’s far from religious faith in markets. Market-worship was always more of a political than an economic project, although certainly there was a tide in economics of free-market rational expectations modelling – a tide at its height in the mid to late 1980s. Even the politics seems to be changing. This book comes just as here in the UK we’ve seen the new Conservative Prime Minister pronouncing the need for an industrial policy, while the system shock of the Brexit vote/Trump propularity has alerted the political classes in both the UK and US to the fact that we’re not in libertarian free market-land any more. There were also minor irritations in the book. For instance, it paints Adam Smith as the ‘saint’ of modern economics, “the patron of the unfettered free market.” This overlooks a raft of recent work highlighting the importance of The Theory of Moral Sentiments to any interpretation of Smith – from Emma Rothschild’s Economic Sentiments, Nicholas Phillipson’s biography Adam Smith: An Enlightened Life, through Roger Backhouse’s history of economics to Russ Roberts’ [amazon_link id="1469029758" target="_blank" ]How Adam Smith Can Change Your Life[/amazon_link]. Anyway, it will be clear that The Market As God falls foul of my regular gripe that it would be great if critics of economics from outside the discipline had more of an idea of what economists actually do. It would have been far more interesting if Cox had addressed, say Al Roth‘s question about repugnant markets, kidney exchanges etc. Or maybe the questions raised by behavioural economics about when humans are more or less rational than pigeons or capucin monkeys. Still, if you enjoyed Michael Sandel’s What Money Can’t Buy: The Moral Limits of MarketsWhat Money Can’t Buy: The Moral Limits of Markets by Sandel, Michael on 26/04/2012 unknown edition (which also irritated me hugely), you might well like this book too.